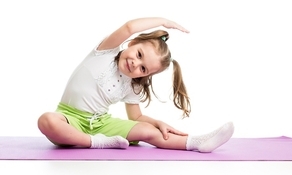 Home school gymnastics is designed to get your kiddo moving, in a fun environment, while increasing endurance, strength, flexibility, balance and spatial awareness. Gymnastics has been proven to make you smarter! Challenging activities that stimulate the brain and make you think, focus and concentrate are great for developing extraordinary brain power! Our home school gymnastics class features gymnastics instruction, of course, but also will incorporate games and relays, team building and problem solving activities as well. 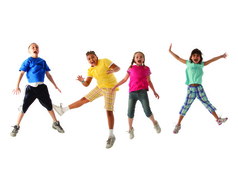 We offer classes for home schoolers that are discounted from our regular class prices conducted during non-peak hours! Motion Matrix is a vendor for LOGOS & REACH! Home School P.E. "Fitnastics" classes coincide with the regular school year (September - May). Contact us for current class schedules and pricing!